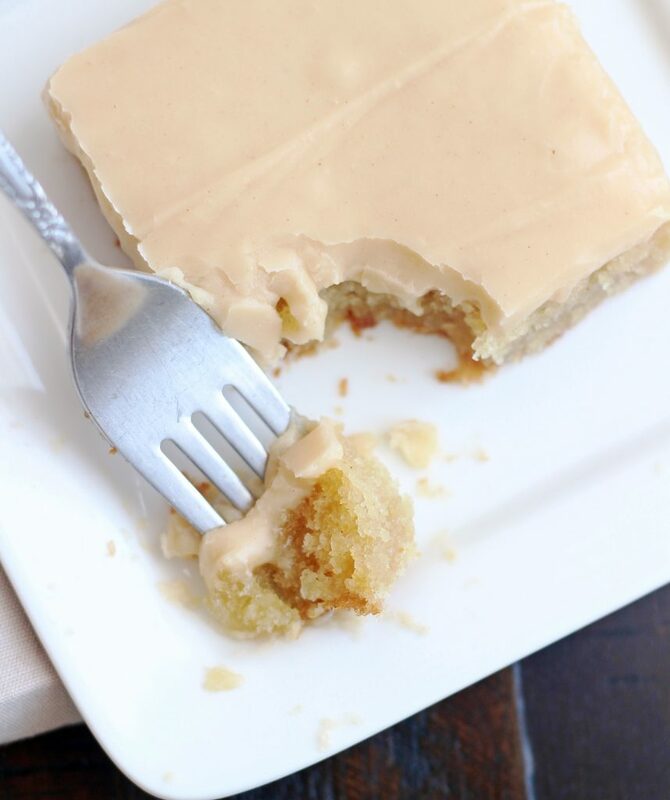 Moist, buttery, rich, & absolutely divine, this Peanut Butter Texas Sheet Cake is melt-in-your-mouth amazing! It’s a peanut butter lovers dream dessert! 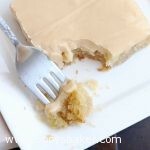 I wish you could reach through your computer screen and take a bite of this Peanut Butter Texas Sheet Cake. I’d bet my life you wouldn’t stop at just one bite, it’s impossible. This cake is unreal my friends. . . .absolutely unreal. 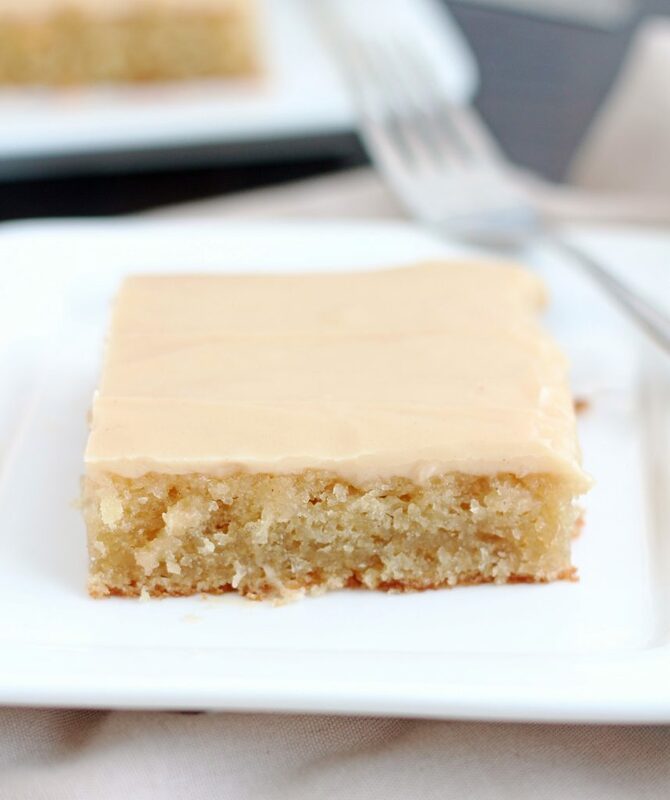 One of my very favorite cakes is this White Texas Sheet Cake. Stretch pants are required when I make it because I can’t stop eating it. I decided to make a peanut butter version of it. Best. Decision. Ever. Holy moly this cake is ri-DONK-ulous! It’s buttery, rich, decadent and crazy delicious. It’s rich, so remember a small piece goes a long way. Although, that didn’t stop any us from going back to the kitchen an hour or so later and eating more. For all you peanut butter lovers out there (that would be us), this cake is going to become your new BFF. 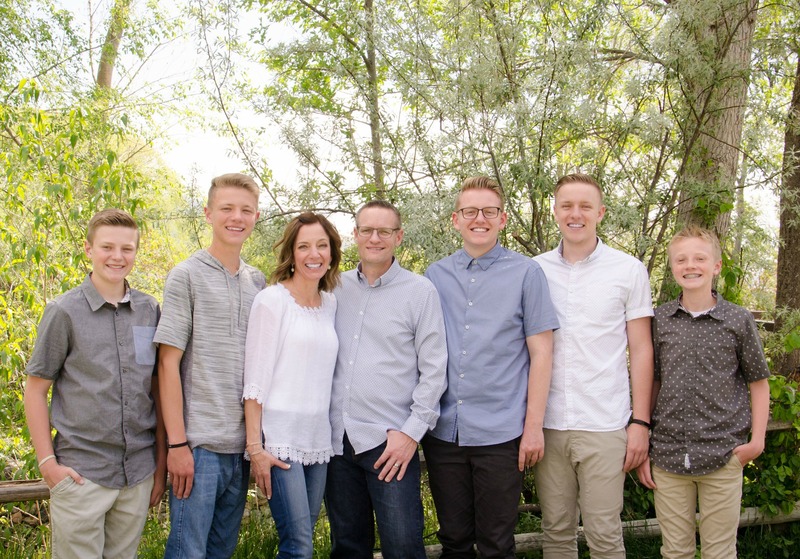 All my boys immediately declared this BW (blog worthy) and I agreed 100%. Pour yourself a tall glass of milk and get ready to fall completely in love with this cake. Preheat oven to 375. Grease a 15x10x1 jelly roll pan. In a large saucepan, bring the peanut butter, butter and water to a boil. Remove from heat and stir in sugar, beaten eggs, sour cream and extract. Add flour, salt and baking soda, stir until well combined. Pour into a prepared pan. Bake for 20-22 minutes or until golden brown. To make frosting: In a medium saucepan, bring peanut butter, butter and milk to a low boil. Remove from heat and add powdered sugar, vanilla and pinch of salt. Mix until smooth. Pour over warm cake and carefully spread.